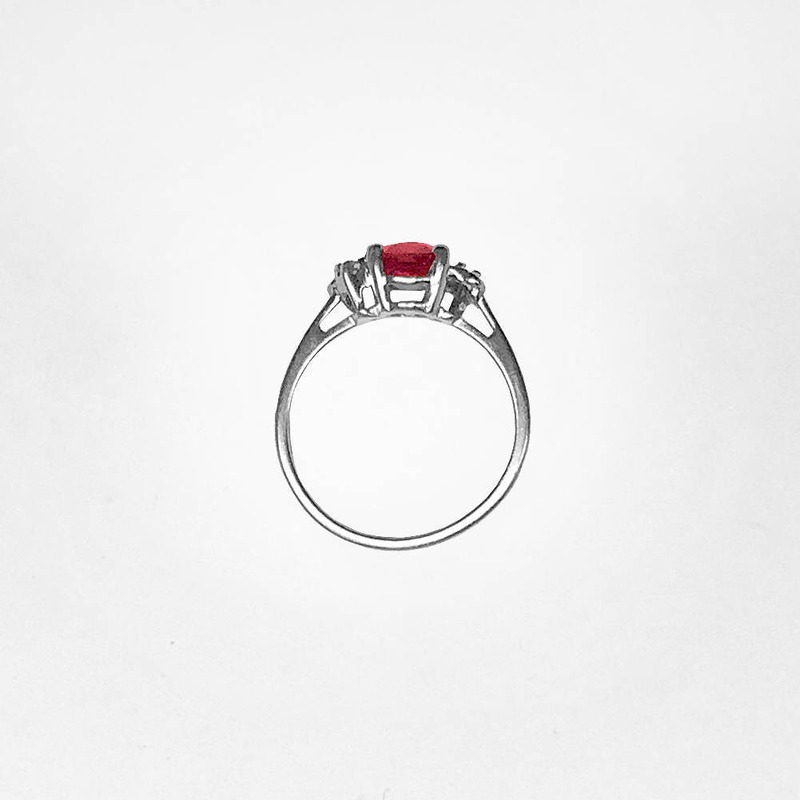 This classic 14K white gold ring from the 1980's is set with an extraordinarily beautiful, natural pigeon's blood red Thai ruby. The finest rubies in the world exhibit this coloration. 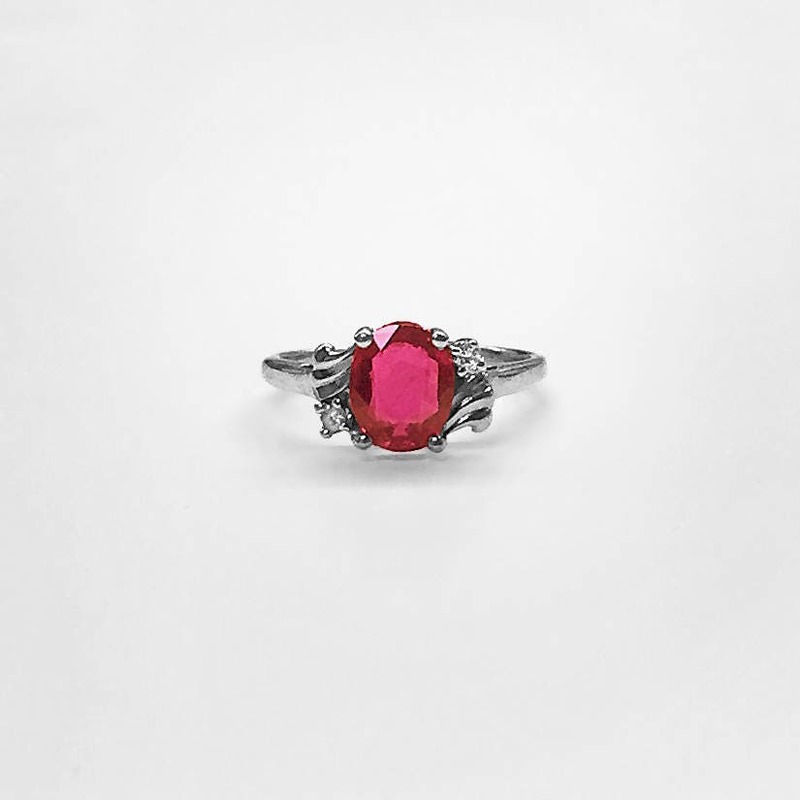 This gem quality Ruby is oval and measures 8.49 x 6.89 millimeters. The color is the finest, the stone is extremely well cut and finished and the price is excellent for a stone of this size and quality. Rarely in our over 50 years of business have we seen stones this free of interior imperfections with exceptionally beautiful color and weighing 1.93 carats. 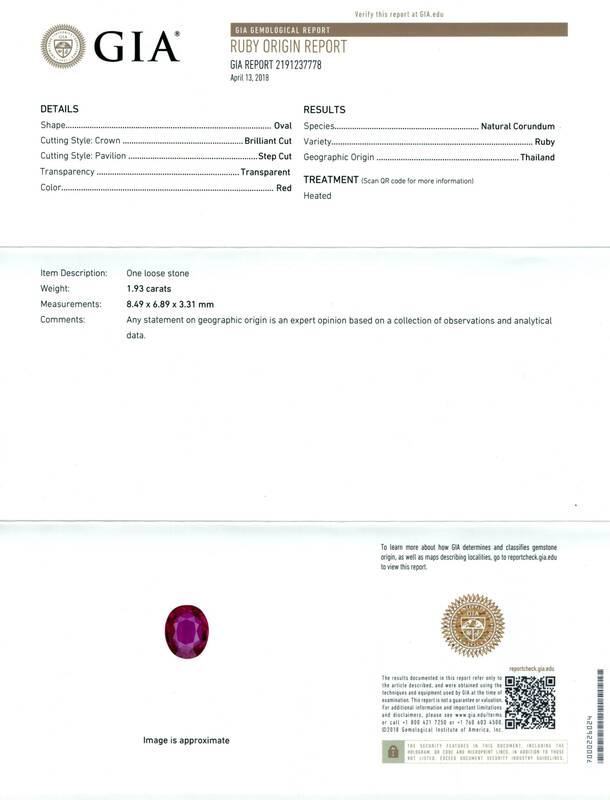 The ruby is GIA certified and viewable in our images. 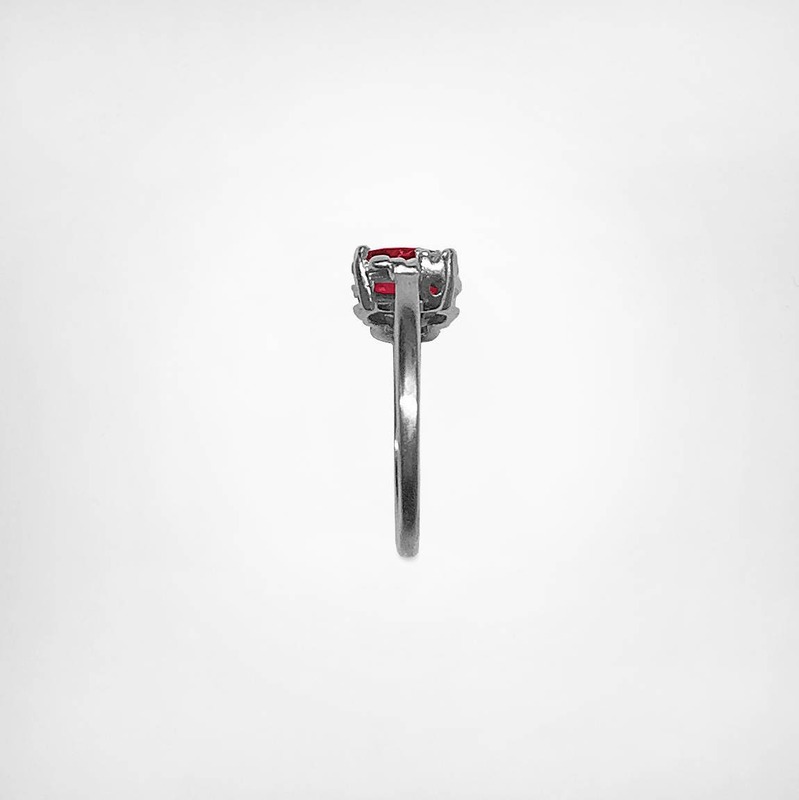 In recent years the price of large fine rubies has skyrocketed. We sold this many decades ago and have had the good fortune to buy it back at an exceptionally fair price. We are passing that savings on to you. The mounting is a style which is timeless and heavy enough that the lucky owner could wear this on a daily basis and never have any concerns. The two side diamonds, like the center, are of very fine quality. What a perfect Holiday gift this would make! The ring is currently a size 6 3/4 but could be sized easily to fit your finger.